/US/ The essence of Zachary Lieberman’s work is to improve the communicative capacities of the human body. 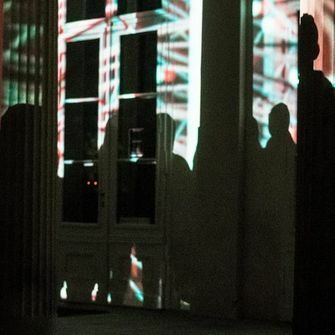 He has therefore created projects that transform the voice into a visual format, that display the singing of a vocalist using interactive software, or that bring painted shapes to life, a project for which Lieberman has received multiple honors. He is also the author of openFrameworks, an open source software specially developed for artists and other creators for so-called “creative coding”; that is, for programming projects whose purpose is not necessarily for practical use, but specifically for artistic expression. In addition he has recently worked to develop software for magic tricks that makes use of so-called expanded reality, as well as a tracker of eye movement that has helped paralyzed graffiti artists paint again. He teaches at the Parson School of Design in New York. The Reflection Studies project pursues an ambitious goal – to determine if we can paint using light. For this purpose, Zachary Lieberman has prepared a large light table for SIGNAL attendees to give their creativity a free hand. 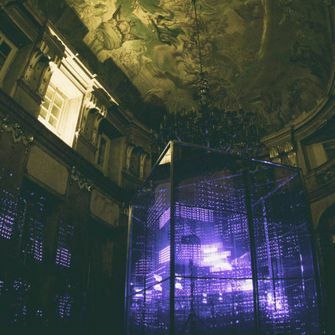 This installation was developed from a series of software experiments on the reflection of light. The next phase of scientific research is up to our attendees. 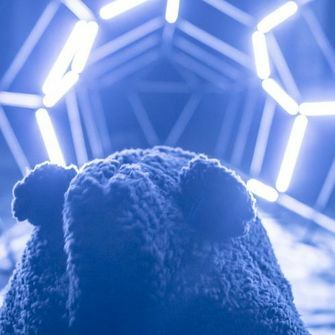 This playful interactive installation will give them the opportunity to explore, test, and above all create art using light and shadow. With their help the table will therefore continually transform, turning everyone who approaches it into its own co-author.